Huawei has announced its second Android Go smartphone called the Huawei Y5 Lite. The handset comes running on a trimmed down version of Android Oreo and a bunch of Android Go apps out of the box. Since it’s an entry-level offering, the handset features most basic specifications, nothing too fancy. 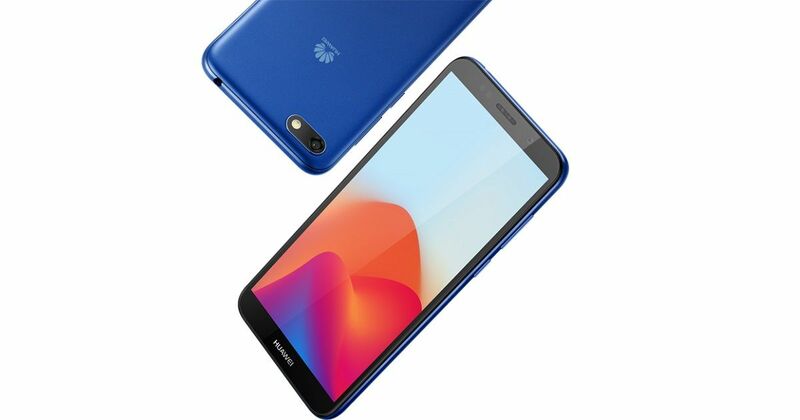 The only other Android Go smartphone from the Chinese OEM is Huawei Y3 (2018) that was launched in May, last year. The Huawei Y5 Lite has been introduced in Pakistan with a price tag of PKR 16,500 that roughly translates to Rs 8,300 in India. The device is being offered in two colour options: black and blue. As of now, there has been no word as to when the other markets such as India will be receiving the Huawei Y5 Lite. As for the specifications of Huawei Y5 Lite, the handset features a 5.45-inch IPS display with HD+ (720 x 1,440p) resolution and 18:9 aspect ratio. At its core lies, MediaTek MT6739 chipset paired with a gigabyte of RAM and 16GB internal storage that is expandable up to 256GB with a dedicated microSD card slot. In the camera department, the dual SIM Huawei Y5 Lite sports an 8-megapixel shooter with f/2.0 aperture lens and LED flash on the rear. On the front, it gets a 5-megapixel snapper with f/2.2 aperture and single-tone LED flash. Other features include 4G VoLTE, Wi-Fi 802.11 b/g/n, Bluetooth 4.2, GPS, micro USB 2.0 and a 3.5mm audio jack. Apart from this, the handset is said to automatically adjust the phone call volume in noisy environments so that users have a clear listening experience. The Y5 Lite measures 146.5 x 70.9 x 8.3mm, and it weighs 142 grams.